Taking My Player through My Career is the main reason why I buy games in the NBA 2K series and every year I am extremely happy to see that things change a bit, offering us a new challenge as well as new ways to get there to the top and become one of the best players that ever existed. Of course, nothing is possible without getting constant flawless performances in the game and a good indicator of that is the teammate grade that you get after each game. And I am here to share with you all the details on how to get Teammate grade of A and A+ in NBA 2K17 easily – because you can’t be a superstar if you keep getting those B ratings! If you want to be a true legend, it’s not all about becoming the best scorer in your team or the league – it’s a more complex process and we’re here to help. So if you want to improve your game or you’re actually struggling to get better grades, check out Vgamerz’ guide on how to easily get A+ teammate grade in NBA 2K17! 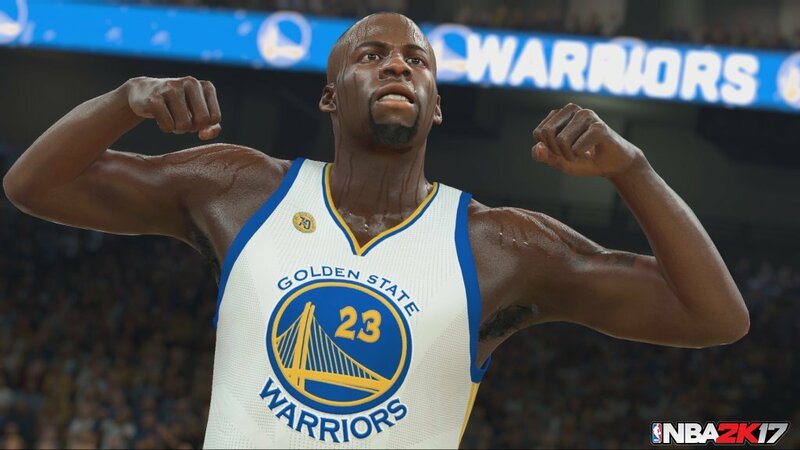 Just as we said already in our NBA 2K17 My Career tips article, being a team player is extremely important in the game. Holding the ball, not passing around, requesting passes at all times and trying to shoot at all costs – these are all things that will bring your teammate grade down. Especially early on in the game, your stats will be pretty low so don’t have higher expectations from your player than what he can actually deliver. Play the team game, play a smart game and move around, ask for plays (screens are the easiest of them all and still extremely productive) and try to constantly remind yourself: scoring a ton of shots is not your only duty in the team! A few years ago, setting screens alone was enough to get you a guaranteed teammate grade of at least an A. This year, things have changed a little bit and your teammate grade meter doesn’t increase as much from setting a good screen, but it does help a lot. So set as many screens as you can: simply go towards the player who defends your teammate and set the screen. You’ll get at least a “Good screen” bonus, but if that leads to a score, your rating will increase even more with the “Screen assist” bonus. Unless you’re playing the so popular PG, chances are that you can master boxing out and increase your teammate grade a lot. Learn to position yourself quickly when on the defense so that you box out your opponent and you’ll get a nice boost to your grade. Grab the rebound too and it’ll increase even more. This is the easiest way to increase your grade quickly during defense. I know you at least think that you’re the next Michael Jordan and you can score from anywhere on the court, but the truth is that the game doesn’t think so. Play and especially take shots based on your position: for example, if you are an expert sharpshooting point guard, seize the moment when you are alone behind the three point line and take your shot. Even if you miss, you’ll still get a rating increase (even though chances are that you will score too!). So the key is to get shots when you’re open and try to stick to your position as much as possible. Combos – or double moves – are always a good option to quickly feel your rating bar and are extremely easy to do. Basically, all you have to do is to keep performing dribbles, ankle breakers and such before scoring. This will give you the “Double move leading to a score” message and your meter will fill a lot faster. Plus it isn’t difficult at all to perform these, especially after unlocking the corresponding badges for the ankle breaker, for example. Try to do everything right and nothing wrong. Don’t rush things in defense or offense (leading to turnovers or reach-in fouls which give you a massive penalty) and instead take your time and play for the team, as I already told you. Stick to your man and even if he scores, you get a good defense rating, but you can get even better and grab a block or a rebound. In offense, pass the ball around and make yourself useful when you don’t have the ball, try to always find the open spaces and don’t ask for the ball unless you really are open and your teammate has a clear line for a pass. Try not to call for the ball at all – the AI is getting better and better at reading the game situations and actually manages to throw some amazing passes. Take advantage of the Orange Juice / Dual Player Control mechanic as well will help a lot and improve your chances at scoring those good messages for your teammate grade. Basically, all you have to do is to play a constantly solid game and try to make as few mistakes as possible. And always remember that it’s not just scoring that increases your teammate grade – on the contrary! Ending the game with 50 points doesn’t automatically guarantee an A+. So be a team player, play smart and the rewards will keep on coming! Do you have other tips and tricks for fellow players looking to improve their My Player teammate grade in NBA 2K17? Let us know by sharing a comment below!